Why is it, that you act so nonchalant, totally laid back and like, “whatever”? Like, “Oh I’m so chill, I always have places for you to park. Man, I will always do my best to accommodate you!” When really, you’re more like “Haha little girl, I never have parking. I would like to see you TRY to find a place to park in less than 45 minutes!” It’s as if you love to see the tortured souls driving around like idiots, hoping and wishing that a spot will open up so they can park. Just when they think they’ve found a spot that’s open, they realize that someone else has already found that spot and is anxiously waiting to shimmy their way in, nice and cozy. OK, in all seriousness…How handsome are our Giants?!?!? I am very happy to report that not one Giants player has been struck with the ugly stick. I wish I could have been there, in that room to bask in the glory that is the World Championship of Baseball at THE WHITE HOUSE. WITH THE PRESIDENT! I do have to ask tho, Matt Cain – Why didn’t you smile at all??? Kruk, Kuip, Miller…Where are you???? Amy G? Flemming? Bip Roberts? Why didn’t they have better shots of all of the team? Seriously Mr. President, why can’t your media team show more than just 10 minutes??? I love my Giants, and I would like to see more of them, thank you very much! 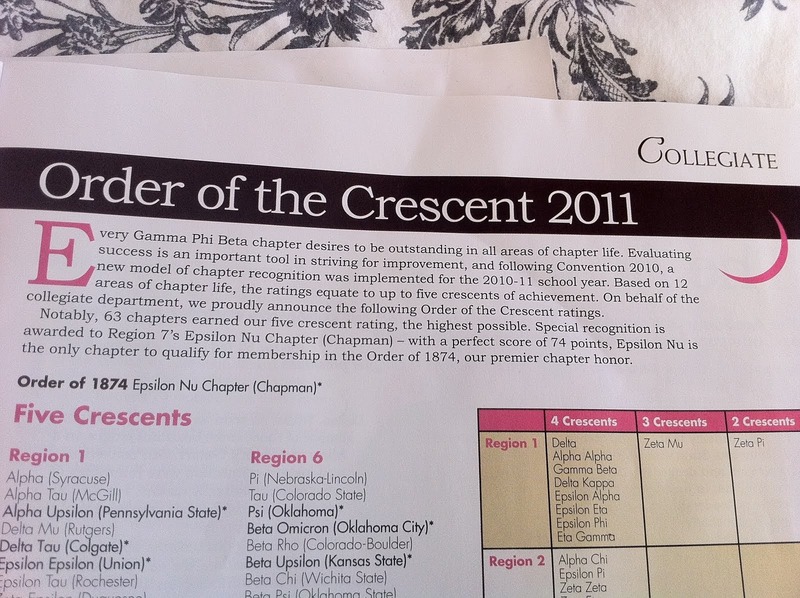 Congrats to my sisters of Gamma Phi Beta!! Looks like we are the cream of the crop 🙂 Yes, I definitely was not a good, involved sister, but I am a proud sister! Congrats again, Epsilon Nu!